Love #3 and #6. The bright blue is so pretty and I adore stripes. And #6 looks so feminine and pretty, I love it! Great bag choices! I love #5 and #6! Nice post! Love these bags, the clutch is my fave! nice i like the numb 4..
thanks for your comment..what do you say to follow each other..? 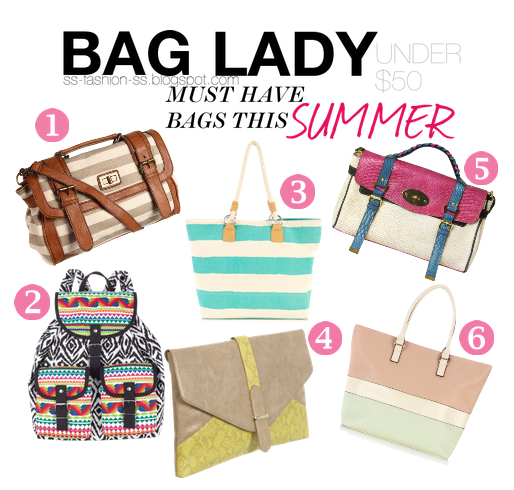 Such an amazing selection of bags! Great post! I love your blog! The duck face post is too good! following you now! bags are my passion, love your choices! I love your compilation. I just discovered your blog and love it!